The last of my Arts Degree essays. 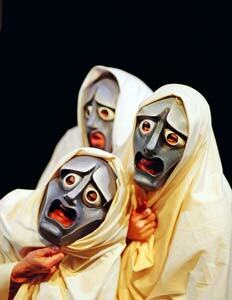 This is not so much about Greek tragedy as about all of ancient Greek culture reflected in what it is not. It is a fitting conclusion to my myth theoretic work over the last few years. What can the history of world mythology tell us about the meaning of death for the ancient Greeks as represented in tragedies featuring human sacrifice? While the ancient Greeks are not believed to have practiced human sacrifice, it features in a number of their tragedies from the late sixth and fifth centuries B.C.E. This raises the question as to the meaning of human sacrifice for the ancient Greeks, its function in dramatic performance, and what it demonstrates about the ancient Greek view of death. While death is always considered a grave and serious issue, a distinct feature of the representation of human sacrifice in ancient Greek tragedy is its overall ambiguity: sacrifice is never wholeheartedly advocated nor fully condemned, is neither entirely good nor bad. I argue that this is like much else in Greek myth and tragedy, but that this level of ambiguity is relatively unique for a post-Neolithic civilisation at this time, which may reveal something about the ancient Greek ethos, particularly regarding religious experience. There are a number of elements common to most of the extant tragedies by Aeschylus, Euripides and Sophocles featuring human sacrifice. The call for human sacrifice usually comes from the gods, whether through an oracle, sage, prophecy or request from the dead. The victim is always a young unmarried person, usually a female virgin. The prospect of human sacrifice always evokes horror, pity, sadness and aggressive protest from the victim, his or her family, and/or the observing chorus. A more elderly relative often pleads to be substituted (Euripides, Hecuba 386-90; Euripides, Children of Heracles 453-67; Euripides, Phoenician Women 967-71), to no avail. In most cases, after much pathos, the victim courageously comes to accept his or her sacrifice for the sake of the greater social good – to ensure a victory in war and/or to uphold the family name. An easy way to escape is offered (Euripides, Iphigenia in Aulis 1426-30; Euripides, Children of Heracles 540-3; Euripides, Phoenician Women 970-4), which the victim always refuses, with an explicit (Euripides, Children of Heracles 588-9) or implied exoneration of responsibility for the executioners. As is usual for ancient Greek tragedy, the victim is killed offstage, usually with a messenger figure reporting the event. It is undeniable that these are common elements in the plays. However, their meaning and interpretation among scholars has varied considerably, so much so that there is virtually no consensus as to what sacrificial death means for the ancient Greeks, as represented by the plays. Consider, for example, the most common interpretations and contrary opinions: Scodel argues that human sacrifice is presented as morally evil, cruel, and impious – characters always protest against it; it is never presented comically – while Rabinowitz claims that the ancient playwrights romanticise victimisation and eroticise sacrifice – victims are referred to as youthful beauties, executed in a public way, often for apparently noble causes. Sacrifice is chosen as subject apparently to reinforce the status quo, to advocate the self-sacrifice of the hoplite soldier fighting in the Peloponnesian War, and/or as an outlet for internalised violence. These differing viewpoints are all effected by (a) the interpreter’s exclusive focus upon positive or negative aspects of sacrifice as presented in the plays (more on this later), and (b) the degree to which textual evidence is seen as reflecting (even promulgating) social, cultural, religious, broader historical, or human psychological norms (i.e. the degree to which the text is ‘read into’). Since my interest is in how the presentation of human sacrifice reflects the ancient Greek cultural perspective of death, we must first pause here to consider how the ancient Greeks might have reacted to and interpreted tragedy themselves. The plays are not obviously primarily political speeches (like those of Lycurgus), nor are they histories (like the work of Herodotus). The fact that the Greeks did not, as far as we know, perform human sacrifice alerts us to the fictional (or at least mythological) nature of tragedy – not only human sacrifice but long-dead, legendary/mythological persons, supernatural events, and gods were portrayed in the theatre by actors wearing stylised masks during a religious festival. Hence we must consider the plays, particularly regarding human sacrifice, as myth. In this regard, as per Rudolf Otto, Joseph Campbell and others, we can expect mythology to primarily promulgate a numinous emotionality, and as per Clifford Geertz, reflect and support a cultural ethos related to and vitiated by the worldview presented in myth. But while religion reflects the highest, most primary source of meaning, particularly in ancient societies, the peculiar language and dialectic of myth has its own hermeneutic difficulties. The interpretation of a non-mythological source, such as a legal document, is relatively straightforward; provided there are no concerns about sincerity or authenticity, words can be taken at face value, and compared with and/or generalised into contemporary cultural norms, customs and beliefs. Mythological material cannot be reliably extrapolated and generalised into historical data in the same way. Herein lies the value of Joseph Campbell’s ‘hero’s journey’. The revelation in relation to Campbell’s exposition of the more-or-less universal ‘stages of myth’ – such as ‘the call to adventure’, ‘the road of trials’, ‘apotheosis with the father’, etc. – lies not in the fundamental sameness and therefore hermeneutic equivalence of all mythologies worldwide, but in their differences: the divergences, omissions, transformations, and unique realisations of the mythological stages in each particular cultural nexus. In other words, Campbell’s ‘hero’s journey’ can be used as the yardstick, with the cultural ethos revealed in the manner in which a particular culture arranges and realises the stages, or how a particular element loses or gains value by its position within the schema. Sadly, the history of human sacrifice as a motif in myth is sketchy but, according to Campbell and others, it seems to make its appearance in early sedentary agricultural village cultures, generally on a ‘complex hunter-gatherer’ or Neolithic level of human society, apparently extending into early prehistoric ‘Bronze Age’ societies. The apparent religious attitude accompanying human sacrifice, as attested by our scant sources, is not primarily aggressive, but ecstatic or ascetic; sacrifice appears as a voluntary act of the mythic hero, committed as a means of identification (‘becoming one’) with a god or transcendent principle. Campbell has postulated that cultures to the east of modern-day Iran exhibit more features of this Neolithic sacrificial mythic worldview than those to the west. The ideas of ascetic self-denial or ecstatic absorption in a ritual-religious role are fundamental religious principles of eastern myth. For example, the Jain, Hindu, and Buddhist schools of India all encourage the individual to realise a state of ‘no-self’ or ‘annihilation’, and the Confusion, Daoist, and Shinto religions of China and Japan advocate an absorption in a social-natural order. As a result, myths of the east frequently present human sacrifice as an ascetic or ecstatic calling – death is fundamentally an escape from a sorrowful or deceitful world or a mere playful illusion (cf. reincarnation). In opposition to this, in mythologies to the west of Iran, the self is not denied; instead, “[it] is … treated as though it were a definable knowable entity with particular characteristics.” One does not ‘deny ego’; one develops it. Campbell has observed that this emphasis on individuality has separated god from man in western myth; connection to the deity is one of relationship, rather than identity, hence human sacrifice is frowned upon, and other forms of relationship to the deity are established. Add to this a further division: in the Near East, god is generally more righteous than man; he is a mighty warrior god with moralistic concerns. Relationship is established via a warrior code, a covenant, sacrament, or koran; Job submits to God with the words: “I despise myself and repent in dust and ashes” (Job 46:6). Whereas in ancient Greece, god and man are separate but more equally matched. Humans may coerce other humans, even other gods, to oppose the will of Zeus; “I care less than nothing for Zeus,” cries Prometheus. “Let him do what he likes” (Aeschylus, Prometheus Bound 937). These differing relationships with god may also reflect the respective political systems: autocratic rule, mandated by god (Yahweh, Allah, Marduk) in the Near East, and a huge variety of political systems, democracy among them, in ancient Greece. Thus we return to Greek tragedy, itself a form of mythmaking that is essentially unique to Europe in its quality of acknowledging “the human sufferer.” Suffering in eastern myth is either dismissed as an illusion (e.g. Hinduism) or presented as a weakness to be overcome in transcendence (e.g. Buddhism); in the Near East, it is essentially punishment for sin (cf. the Fall in the Garden). In Greek tragedy, suffering is apparently presented for its own sake, as an acknowledgement of the way the world is, but also as something to be surmounted – but in worldly, not other-worldly, action, such as war, vengeance, or even (unavoidable) human sacrifice, committed for one of these worldly ends. The unpredictability and diversity of Greek tragedy is a result of multifarious conflicts – between god and man, man and man, god and god, god and man and Fate. The ‘message’ of the myth is difficult to pin down because it is not, as per Near Eastern myth, moral/political ideology in disguise, nor is it transcendental psychology or ‘sympathetic magic’, as it is in the east, and in earlier hunter-gatherer and Neolithic myth. In fact, a Greek tragedy may closely approximate what we mean today by a work of art, a creative work presented primarily for the story itself and the emotional effect it generates. It is as if the numinous emotional quality has managed to separate itself from the metaphysics, psychology, morality, or ideological strands of myth and religion proper – producing, on one hand, art (the theatre, etc. ), and on the other, early science and democracy (philosophy, rhetoric, etc.). Yet the fact that Greek tragedies were presented within a religious festival suggests that the break between religion and art had not fully occurred. This almost ‘artistic’ expressive-ambiguity pervades tragedies involving human sacrifice particularly. As per above, ambiguity is acknowledged by many commentators. It is difficult to conclude exactly why a virgin such a Iphigenia in Iphigenia in Auris must die. Why tell such a story? It makes no logical sense; there is no clear ‘moral’. However, it certainly is emotionally powerful. As per Wilkins, “The principle rhetorical force of the [sacrifice situation] … is the great desire of the victim to die, against the wishes of the … relatives and friends.” The perverse emotional force of this scenario is actually not ambiguous – ‘ambiguous’ is too flat and unemotional a term. This comes back to tragedy’s proper status as myth. Again, Greek tragedies are not discourse treatises, presentations of arguments as might occur in a law court or philosophical treatise. We cannot arrive at Euripides’ opinion on human sacrifice by merely ‘adding up’ the number of ‘for’ or ‘against’ arguments presented in his plays, as many commentators have done to much confusion. Rhetoric in tragedy is primarily emotional, as is appropriate for a mythological (or artistic) presentation of an argument concerning an obviously fictional event. Tragedy is not ambiguous; it is numinous, beyond the bounds of logic and reason. Follow close upon one another. The unhonoured Fate makes prosperous. (Euripides, Children of Heracles 639-42). 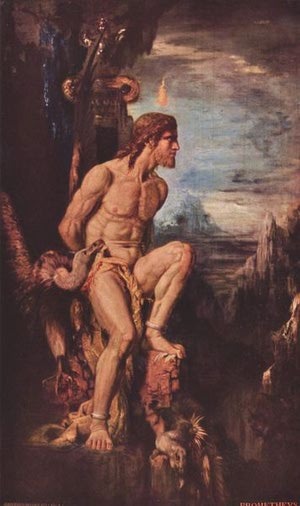 To summarise, human sacrifice in Greek tragedy is, I argue, primarily not just ambiguous but perversely powerful and numinous, especially in the mythological context of a kaleidoscopically varied and complex order of gods, humans and fateful powers which forms the ancient Greek mythic worldview. Just as the issue of human sacrifice is grim and complex in Greek tragedy, so too is the ancient Greek view of death. It is clear that death is not spiritually welcomed like in many of the Neolithic and Asian mythic systems. The ancient Greeks’ greater emphasis on worldly, social, and individualistic values meant that death was viewed with more reality and finality. Its necessity for a greater social good was recognised, but not unambiguously advocated. 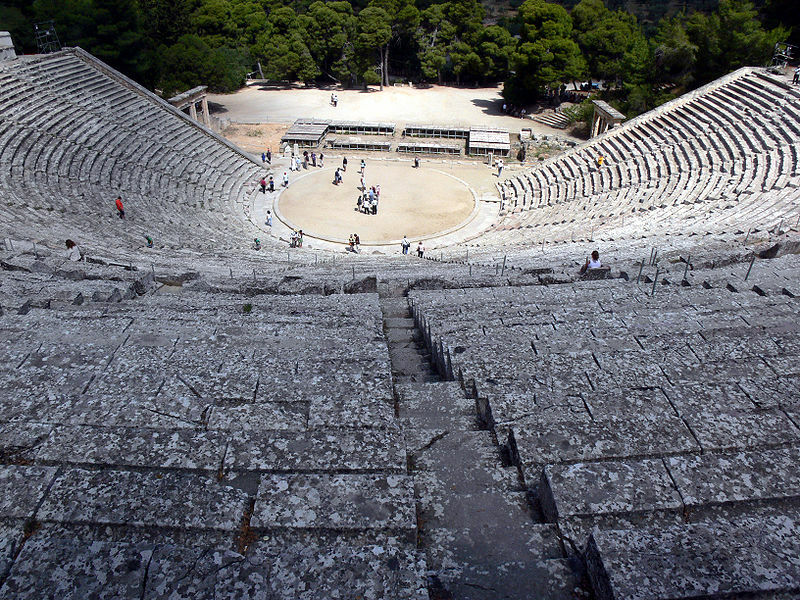 When characters die willingly in Greek tragedy, their sacrifice is linked to worldly ends – dying for the particular institutions of family and city-state. In fact, it is probably the inability of Greek myth to allow the individual to spiritually stand completely separately from these institutions that makes Greek tragedy still appear somewhat alien to modern readers, who, inheriting more recent ideas from the European Renaissance, have a greater, or at least different, sense of the value of human life, of the individual, and his or her relation to society. Aeschylus Prometheus Bound trans. H. W. Smyth (Cambridge, MA, 1926). Aristotle Poetics trans. P. Murray and T. S. Dorsch (London, 1965). Euripides Hecuba trans. W. Arrowsmith (Chicago, 1958). * Due to the layout of this translation, the line references for these titles are approximate only. Austin, N. Meaning and Being in Myth (University Park and London, 1990). Burkert, W. Homo Necans: the anthropology of ancient Greek sacrificial ritual and myth trans. P. Bing (Berkeley, CA, 1987). Campbell, J. The Hero With A Thousand Faces (Princeton, 1949). Campbell, J. Masks of God: Creative Mythology (New York, 1968). Campbell, J. Masks of God: Occidental Mythology (New York, 1964). Campbell, J. Masks of God: Oriental Mythology (New York, 1962). Campbell, J. Masks of God: Primitive Mythology (New York, 1959). Campbell, J. Myths to Live By (New York, 1971). Cassirer, E. Language and Myth trans. S. K. Langer (New York, 1946). Csapo, E. ‘Theatrical Production, Greek’ in M. Gagarin (ed.) The Oxford Encyclopedia of Ancient Greece and Rome (Oxford, 2010), from http://www.oxfordreference.com.ezp.lib.unimelb.edu.au/view/10.1093/acref/9780195170726.001.0001/acref-9780195170726-e-1235 (accessed 18/04/14). Donner, Susan E. ‘Self or No Self: Views from Self Psychology and Buddhism in a Postmodern Context,’ Smith College Studies in Social Work 80 (2010), 215-27. Garrison, E. P. Groaning Tears: ethical and dramatic aspects of suicide in Greek tragedy (Leide; New York; Koln; Brill, 1995). Geertz, C. ‘Ethos, World-View and the Analysis of Sacred Symbols,’ Antioch Review 17 (1957), 421-37. Hayden, B. Shamans, Sorcerers and Saints: a prehistory of religion (Washington, 2003). Koller, J. M. Asian Philosophies, 6th ed. (Upper Saddle River, NJ, 2012). Murnaghan, S. ‘Sophocles’ in M. Gagarin (ed.) The Oxford Encyclopedia of Ancient Greece and Rome (Oxford, 2010), from http://www.oxfordreference.com.ezp.lib.unimelb.edu.au/view/10.1093/acref/9780195170726.001.0001/acref-9780195170726-e-1181 (accessed 21/04/14). Otto, R. The Idea of the Holy trans. J. W. Harvey (London, 1923). Pollard, E. A. ‘Sacrifice’ in M. Gagarin (ed.) The Oxford Encyclopedia of Ancient Greece and Rome (Oxford, 2010), from http://www.oxfordreference.com.ezp.lib.unimelb.edu.au/view/10.1093/acref/9780195170726.001.0001/acref-9780195170726-e-1110 (accessed 18/04/14). Rabinowitz, N. S. Anxiety Veiled: Euripides and the traffic in women (Ithaca, NY, 1993). Rehm, R. Marriage to Death: the conflation of wedding and funeral rituals in Greek tragedy (Princeton, 1994). Scodel, R. ‘Virgin Sacrifice and Aesthetic Object’, Transactions of the American Philological Association 126 (1996), 111-28. Seaford, R. ‘The Tragic Wedding,’ Journal of Hellenic Studies 107 (1987), 106-30. Wilkins, J. ‘The State and the Individual: Euripides’ plays of voluntary self-sacrifice’ in A. Powell (ed.) Euripides, Women, and Sexuality (London and New York, 1990), 177-94. At least, not as normal practice, see Pollard (2010); Wilkins (1990), 178. Or not betrothed (Euripides, Phoenician Women 943-4). It is probably best to exclude Sophocles’ Antigone from this study as her death resembles more of a murder/suicide than a sacrifice to the gods. Rabinowitz (1993), 35, 39, 42-43, 55; Wilkins (1990), 183. Wilkins (1990), 177, 179, 190; Roselli (2007), 111. Rabinowitz (1993), 37-8, 56; Roselli (2007), 110, 126. Wilkins (1990), 177, 179; Roselli (2007), 111. Girard, referenced in Rabinowitz (1993), 33; Burkert (1987), 62. Otto (1923), 5-71; Campbell (1962), 35-6, 45-8; Austin (1990), 15; Hayden (2003), 3, 63-4. Note: in this respect, the key Campbell text is not The Hero With A Thousand Faces (1949), but The Masks of God (1959-68), a work five times as long. Campbell (1959), 171-3; Hayden (2003), 200-1. E.g. the myths of Polynesian head-hunters, the stories of the astonished Christian friars in pre-colonial Mexico, and particularly the accounts of more recent human sacrifices in 19th century C.E. India (the ritual of sati, for instance). Campbell (1959), 179-83; Campbell (1962), 64-9. Campbell (1962), 3-9; Campbell (1964), 3-5. Campbell (1959), 176-83; Campbell (1962), 23-30; Campbell (1971), 65-6, 71-3. For example, nirvana means literally ‘extinguished’; see Koller (2012), 47. Campbell (1962), 30-33; Campbell (1968), 346. Joyce in Campbell (1968), 354; cf. “… since no suffering is involved, it is not tragic” (Aristotle, Poetics 14.5). See Cassirer (1946), 97-8 for this idea. Scodel (1996), 111; Roselli (2007), 124; Rabinowitz (1993), 42. This is approach (a) above. Rabinowitz (1993), 33, 38, 55; Scodel (1996), 111; Seaford (1987), 108-9, 112. Rabinowitz (1993), 33, 34, 39, 55; Scodel (1996), 111-2, 114, 115; Roselli (2007), 87-8, 130. Rabinowitz (1993), 33, 36, 38, 56; Wilkins (1990), 185; Scodel (1996), 111. Rabinowitz (1993), 55; Scodel (1996), 118-20, 125. One is reminded of the difficult, tumultuous and unrelenting business of maintaining a healthy democracy. As, for example, in the later mythic/artistic developments of individualistic romantic love, and political-personal ‘freedom’. See Campbell (1968), 304-8 for a revealing comparison of the Greek ‘Theseus/Phaedra’ story to the Celtic-Medieval ‘Tristan/Isolt’ story. The book of Job from the Bible was referenced in Campbell (1971), 81. That’s ‘Aulis’. Isn’t Iphigineia in Tauris relevant since that denies the supposed sacrifice?